The core of digital strategy is finding your firm’s unfair advantage. This means disrupting symmetrical thinking (large goals need large solutions) with asymmetrical solutions (large results can come from tiny, smart changes.) 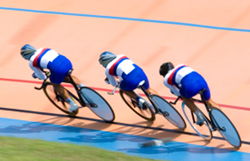 Here are examples of ways to beat competitors and gain new traffic using domain strategy. Some time ago, I ran SEO for a major religion. That’s right, a church headquarters brought me in to help them extend and support their faith community. They had dozens of domains, and there were hundreds more sites that their members ran independently. I was able to build consensus that our #1 goal was to displace any website that denigrated the religion. So we worked both to advance the church’s publishing and also to raise up the sites of their friends. By taking a team approach, we were able to focus on pushing friends forward, and competitors downward. Recently I began working with the owner of a large collection of tiny websites. Each had its own brand and keywords, and each struggled against similar competitors for search rankings. The question was what we could do to pull ahead of our competitors and gain organic traffic. One rational answer would be to start a content-marketing operation and build out the sites so they’d have more pages than their competitors. That, along with search optimization and a linking campaign, would gradually move them forward. Of course, doing all those things would require adding a ton of staff and resources. So I suggested moving the small sites to the firm’s oldest and already most productive domain. This way, each time a site added pages or links they’d build the authority of their shared domain. A rising tide would in fact lift all the properties sharing the domain. Since the sites were mostly running on blogging software on the same server, migrations simply entailed moving a few directories and checking that the relative links on the sites remapped correctly. This was far easier than staffing up a content-marketing team or harassing people to link to these sites. For the most part this was a technical change, but it had big marketing results. Moving these small sites to an older domain with greater authority helped them leap ahead of their competitors in search engine results pages. Some of these sites saw their organic search traffic triple in the first thirty days. No marketers needed to write new copy, no agencies had to design. This was just smart management of our assets. In another case, we redesigned a poor site and moved it to the central power domain. It’s one of the few times in my career that I’ve seen all six primary traffic metrics (visits, page views, pages per session, bounce rate, time on site, and conversion) improve at once. The site gained organic traffic that was more relevant, engaged it better, and converted more of it to leads. Once Google re-spidered the site and started sending more traffic, the improvement was immediate. These were smart, often non-dramatic choices that most visitors probably missed. But it’s a good reminder that the little decisions that deliver disproportionate results are the big wins. China Prevents All Individuals from Registering “.cn” Domain Names: Yikes! The .tel Domain Launches in December – Is It Years Too Late?